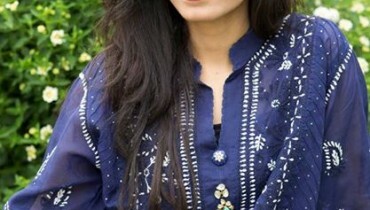 ZSK has unveiled some new arrivals in its summer collection 2012for women. ZSK is not a very old brand in the fashion industry of Pakistan.Several different colors from pink to black have been used in the new dresses. Long shirts with trousers and tights and short shirts with tights can be found among the latest arrivals. This collection is a complete combination of pure eastern and western looks and styles. new arrivals in ZSK summer collection 2012 include mostly those dresses that you can wear to office or college women. They are really stylish and designed as per modern trends in fashion. Moreover, the new dresses in ZSK summer collection 2012 are suitable for women of all ages. The collection is very attractive. ZSK summer collection 2012 latest arrivals can be seen in the pictures below. As you can see, they are quite different from other summer outfits. All this new and elegant collection is consisting on very beautiful so far fashionable dresses. Their cuts and designing are quite pioneering. They will certainly be suitable for you if you are searching for casual clothes with fashionable style. Have a look at this stunning and glamorous ZSK Summer Collection 2012 Latest Arrivals.